$45 Adult, $40 Senior, $30 Children… 8am-12pm Morning, 1pm-5pm Afternoon, and 630pm-1030pm Night Drift Fishing Charters for West Palm Beach, Jupiter, Boynton Beach, Delray, Boca Raton, and Lantana aboard the Lady K Drift Fishing Boat. Formerly known as the B-Love Drift Fishing Fleet. 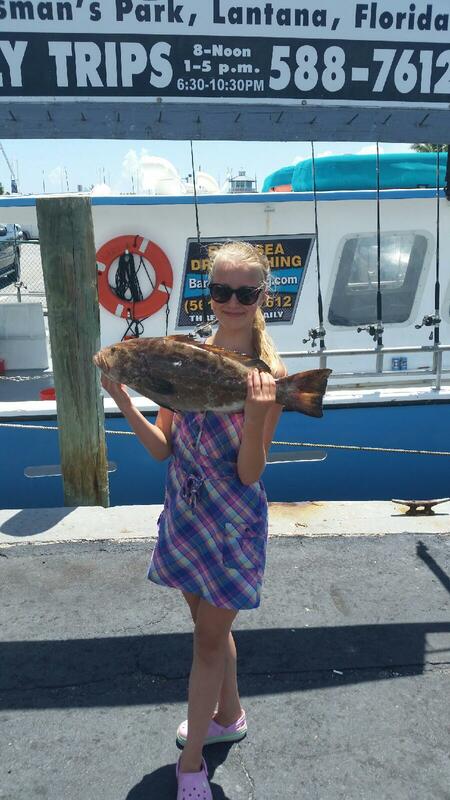 A family friendly adventure of saltwater deep sea drift fishing. The Lady K has a mate position available. Mates must be 18yrs old and drug free. Random drug testing is required. Call 5615887612 for information.